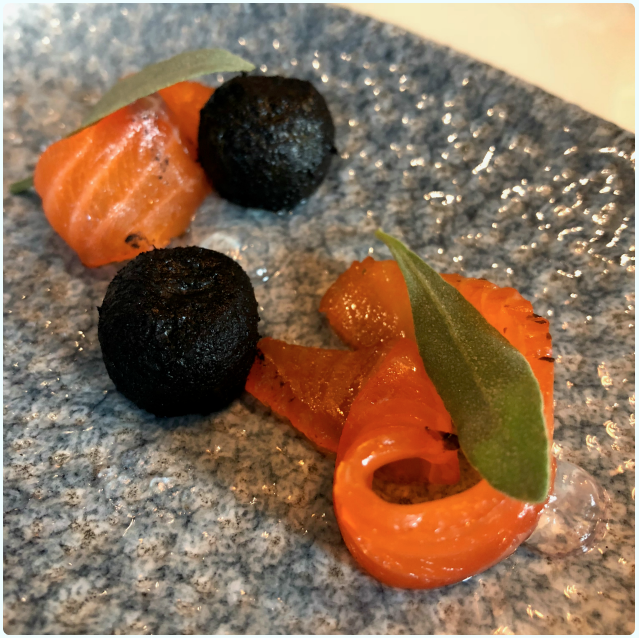 A couple of weeks ago I was lucky enough to be invited to the beautiful Albatross & Arnold for a bit of a mash up between their good selves and Tappers Gin. Nested above Beastro, Albatross & Arnold is a real hidden beauty with great views over the rest of Spinningfields. 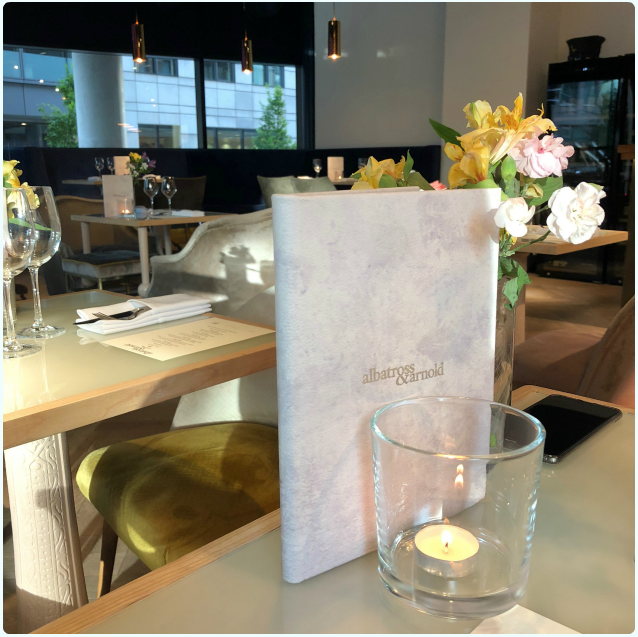 It has this wonderful modern Scandic meets classic art deco feel, with light wood, gleaming gold accessories and fresh flowers. It's my kind of place. 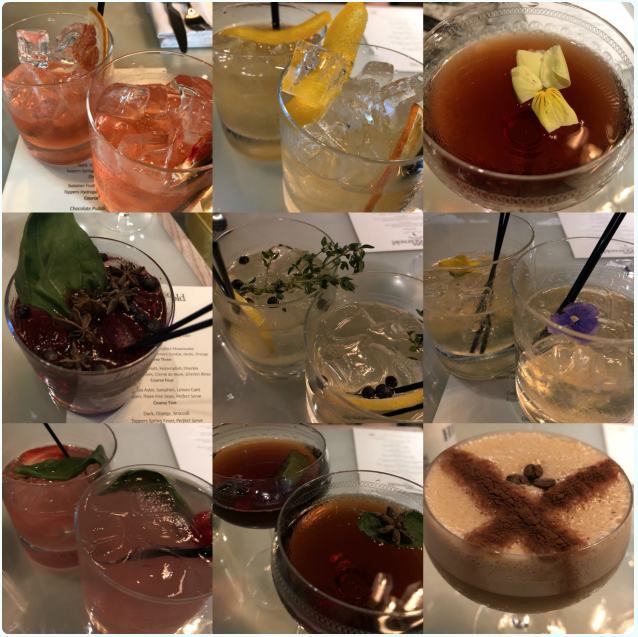 Albatross & Arnold created a seven course tasting menu paired with Tappers Gin; a small family business making some of the most exquisite gins in rather decadent bottles. 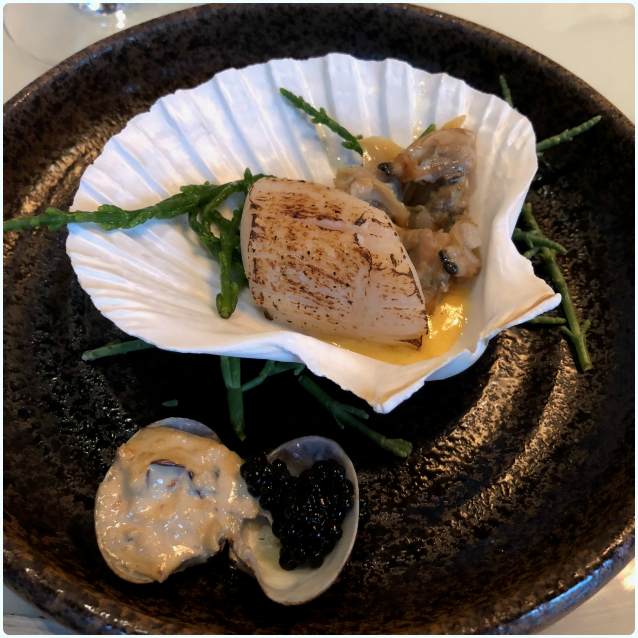 The whole event really was a feast for the senses, with careful consideration given to how the dishes and cocktails looked, smelled and tasted. I've added a copy of the menu as I'm pretty sure that the pictures I took say it way better than my words ever could. Early disclaimer though, I forgot to photograph the melting middle chocolate pudding. Yes, I know, shoddy work whilst being too busy eating it! Trust me, it was good. Before I start I wanted to go through the cocktails (mentioned in more detail on the menu above). Phil had to drink all of mine because I was on antibiotics of doom, which meant I couldn't as much as lick alcohol. He was suitably ruined the next day as a result. 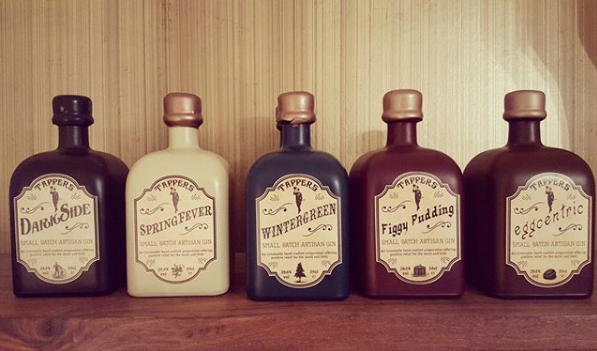 He gave every one his full approval, despite not being a usual fan of gin. What I can comment on was the presentation and (oh my word...) the smell of these. No fake essences, they were the real deal, and bursting with flavour. Massive thanks to our waitress Charlie who was an absolute diamond all night. She made me non-alcoholic versions of these so I at least felt like I was playing out. 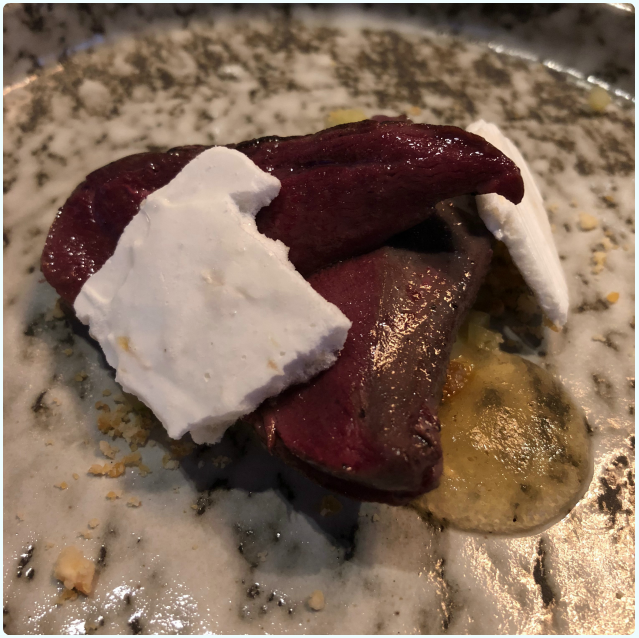 Pidgeon, Hazelnuts, Horseradish, Gherkin: I have to say, that this is one of the best things I have eaten in some time. I hate horseradish, but these meringues were quite subtle, and brought a little warmth to the dish. Trust in the chef. 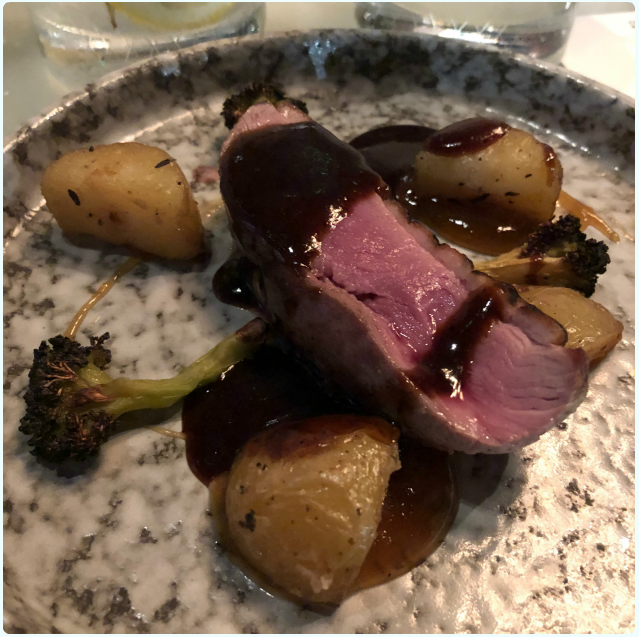 Duck, Orange, Elderflower: Another truly outstanding dish. 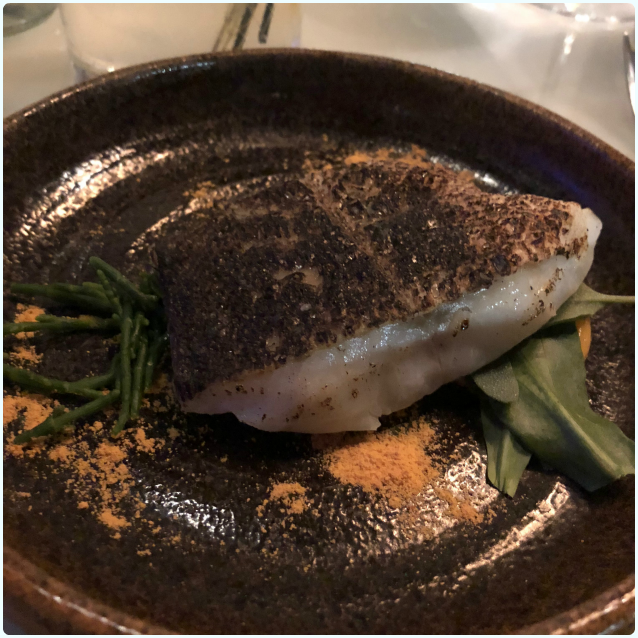 Perfectly cooked and absolutely packed with flavour. Real autumnal flavours coming from this plate of food. 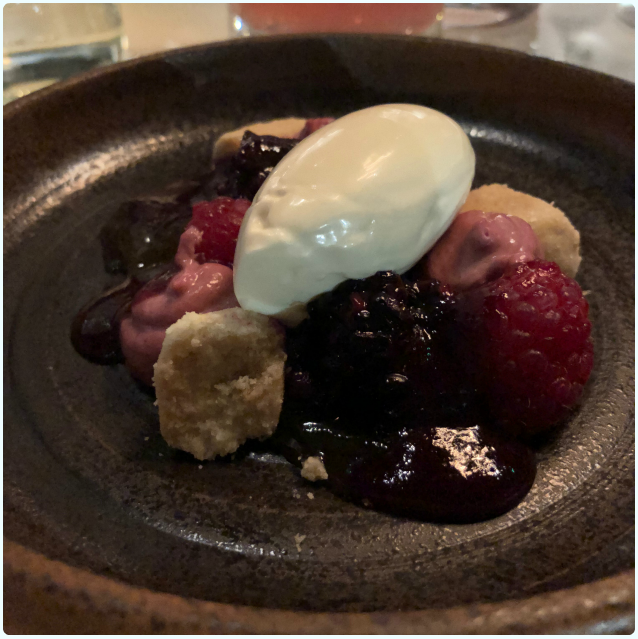 Summer Fruit, Crumble, Cream: Hands down one of the best desserts I've had in some time. Jo who was sat with us even ordered a second in lieu of chocolate pudding. Sterling work that Jo. Sweet yet tangy, with the perfect contrast of textures. Chef Jonathan Green is a bit of a dark horse if you ask me. That dessert reminded me very much of something I ate at one of my favourite places, Northcote. It was no surprise to find out then, that Jonathan did a decent stint under Nigel and Lisa at that very restaurant, before becoming Head Chef at Tattu. Very wise appointment that one. Thoroughly nice chap too. 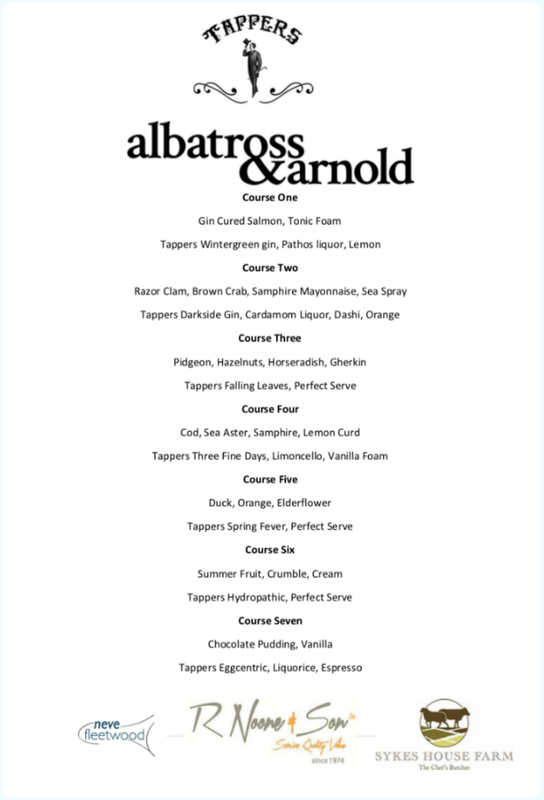 Go to Albatross & Arnold for beautifully crafted food without the formality. Service is professional yet friendly, and the surroundings are just beautiful. I can't wait to go back here when I can drink!